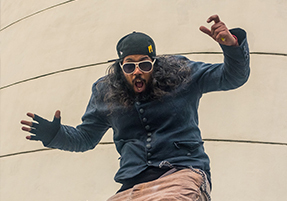 Rap artists Samy Deluxe and Fler, Wagram´s managing director Stephan Bourdoiseau, top producer Tim Bran or Mara Ridder-Reichert, director talent & music at Viacom, are among the latest speaker line-up 2018 confirmations! They complete a great field of participants, led by keynote speakers Daniel Lieberberg (Recorded), Jackie Wilgard (Marketing), Imogen Heap (Creative Tech), Peter Schwenkow and Harvey Goldsmith (Live Entertainment), Jean Noël Tronc and Harald Heker (Rights Management), Michael Lohrmann (Media&Journalism) and Gustav Käll (music.brands.(e)motion). This year´s VUT Indie Days will be opened by a fireside chat with the EDM pioneers Martin Heath and Renaat Vandepapeliere under the title 30 Years Of Independent Dance Music. 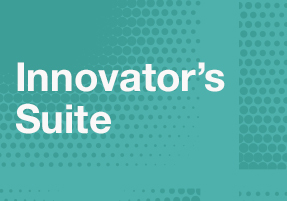 The session programme will comprise a total of about 175 talks, interviews, panels and workshops and is divided into twelve thematic strands, which for the first time have also been clearly structured in terms of space and time. This should help to keep the best possible overview of the extensive programme. Information on individual programme points confirmed on the home straight can be found in the news below. You can find the whole programme on our website or in the Reeperbahn Festival app available for iOS and Android. 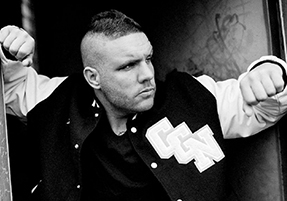 The career of the Berlin rapper Fler (photo) started in 2002 at Bushido's side. Today he is one of the most successful rappers in the German-speaking world and has managed to establish his brand comprehensively and expand it to other business fields. But rap was actually only the way out of crime... A talk about the development, the value and the dangers of the "Fler" brand. The Session 360 Degrees Deluxe looks behind the scenes of one of the latest MTV unplugged productions, which was recorded in April in Hamburg with hip-hop master Samy Deluxe. It will be released on 31 August and is to become the new milestone for the MTV Unplugged brand in Germany. Tom Bohne (President Music, Universal Music, DE), Samy Deluxe, (Musician, DE – photo), Mara Ridder-Reichert (Director Talent & Music, Viacom, DE) and Giovanni Zamai (Brand Director Youth & Music, Viacom, DE) discuss the brand's heritage, its place in the current market and its future plans. Tim Bran, mixer, producer and writer for artists including London Grammar, Halsey, Birdy, Aurora, James Morrison, and Primal Scream runs a protools session and will talk through the recording and production of the London Grammar song Wasting My Young Years. From just piano and voice beginnings, through to adding strings and contemporary drums and guitars, plus the vocal recording process and other techniques - Tim Bran chats through the genesis of this great song with Ray Cokes (Entertainer, GB – photo). We are looking forward to an insightful lesson in music production with high entertainment value. Electronic Festivals At A Corssroads? In recent years, the boom of electronic festivals in Germany has reached new heights. But the competition of more and more events targeting the same group of visitors and booking the same artists is becoming increasingly tougher. In the expert panel with representatives of the most important electronic events in Germany, the question is how the market is developing and what kind of future these festivals have. Speakers: Bernd Dicks (Parookaville, DE), Allan Hardenberg (ALDA Germany, DE), Nikki McNeill (Global Publicity, GB – photo), Max Riedel (Holi Concept, DE), and Oliver Vondemvenne (I-Motion, DE). Create your personal programme schedule! Please find all confirmed dates and times on our website or via app available for iOS and Android and mark your personal programme highlights. Anna Aaron, Blanco White, Faces on TV, Freya Ridings, FRUM, HOPE, Tamino, and Tiwayo. And don't miss the ANCHOR 2018 Award Show on Saturday, 22 September at St. Pauli Theater. All registered delegates welcome! Please find the playlist here. 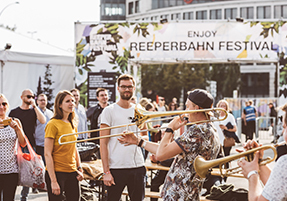 For the second time we welcome all visitors and attending delegates of Reeperbahn Festival to our Festival Village, between Millerntor Stadium and Reeperbahn. It offers daily changing special programme of art, music, and conference programme in this year's new venue Spiegelzelt and also our well-known Shared Studio. The Festival Village once again will be the location of the Ticket Desk - the place where your Reeperbahn Festival adventure begins. We are happy to announce the renewal of our partnership with SEAT! As in 2017 our partner SEAT again will be offering a shuttle service exclusively for all delegates attending Reeperbahn Festival 2018 between Hamburg airport, the central station (Hauptbahnhof), and Reeperbahn Festival venues. The shuttle will be available from Tuesday to Sunday to ensure that as many delegates as possible will be assisted in meeting their busy Reeperbahn schedule. 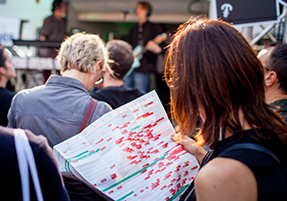 The shuttle point will be located near to the Reeperbahn Festival Lounge at Arcotel Onyx. Rough night? Fear not: The Eventbrite team, in cooperation with filtermusicgroup, invites you to come aboard the Briteboat and to join their Hangover Cruise Part I + Part II. Savour the city’s best breakfast burritos with a refreshing margarita in hand as you listen to four top acts: Lui Hill, Fye & Fennek, Ziggy Alberts und Chef’Special. Banish the feeling of solid ground under your feet for a moment and join them on board of the MS Klein Fritzchen on Thursday, 20 September and Friday, 21 September, departure 10:00 am.